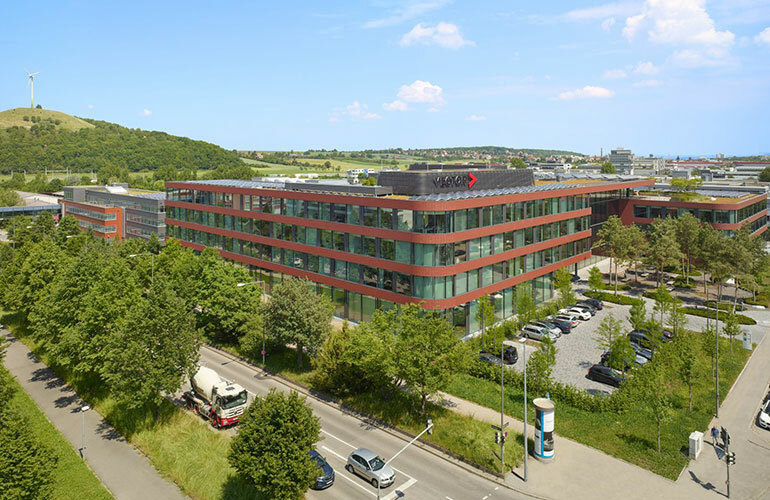 Vector has been constantly growing at its headquarters in Stuttgart-Weilimdorf for the last 30 years. The rapidly expanding workforce made a large new development necessary in order to extend the four existing buildings. The fifth, and so far the largest, of the Vector buildings at the company's headquarters was completed in August 2016. This modern and very attractive new complex consisting of office space, a canteen, large training area and underground car park also comprises a landscaped area and forms the Vector Campus in combination with the pre-existing buildings. 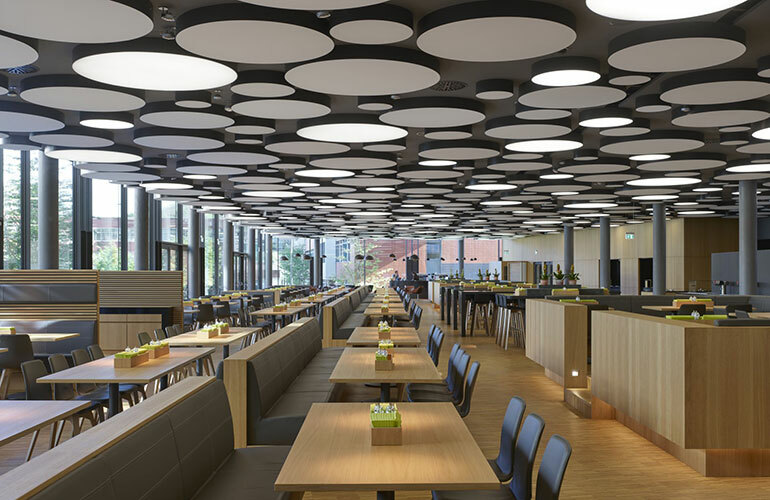 The new Vector company building is unique in many ways and, in September 2017, it was rewarded with the DGNB Platinum Certificate for sustainable building and the DGNB Diamond Award for outstanding architecture with excellent design and cultural qualities. This makes it the only building in the world to hold both of these awards. As an innovative technology company, Vector naturally also called on state-of-the-art building methods and concepts for the design of this project. Consequently, strict requirements were defined for all the ecological, economic, functional and technical aspects. At the same time, it was possible to achieve the company's self-imposed aim of combining a high level of employee satisfaction, an attractive appearance and successful integration into the urban environment over a usable area of more than 20,000 m2. The new, forward-looking Vector building helps to save resources in many different ways. Even during the construction phase, attention was paid to connections to the local urban transport systems and e-mobility. What is more, the building materials were chosen on the basis of criteria of sustainability. Resource efficiency was greatly boosted by the use of Cobiax reinforced concrete slabs during construction. Thanks to this approach, it was possible to save almost 7,000 m3 of concrete, or a third of the amount required for a conventional new building. 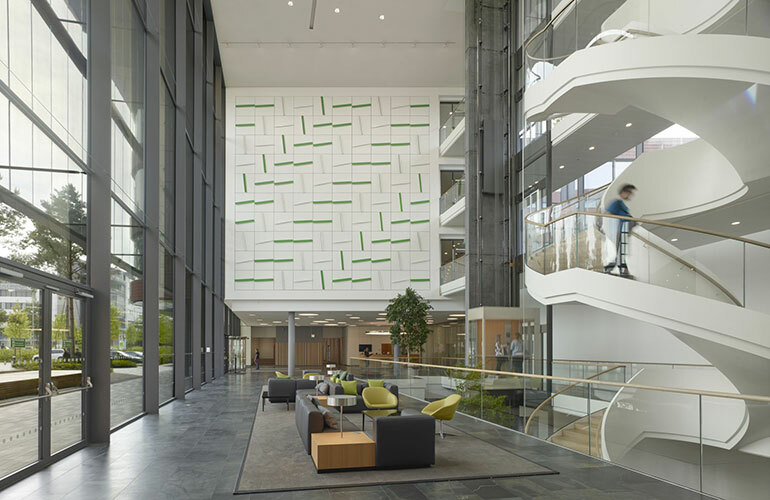 Furthermore, compared to a conventional office building, considerable energy savings are achieved during operation. Thanks to the use of geothermal and solar power, it has been possible to cut natural gas consumption by approximately 70%. What is more, the solar power system and the intelligent building control system reduce electricity consumption, with the result that all these measures combined cut CO2 emissions from ongoing operations by approximately 460 tons per year.